Another wonderful new activity and welcome addition to Victoria Falls sunset cruises is The Victoria. What is unique about this jetboat adventure is that it is an intimate upmarket option, taking only 20 people on a luxury safari vessel offering top-notch catering by the Victoria Falls Hotel. 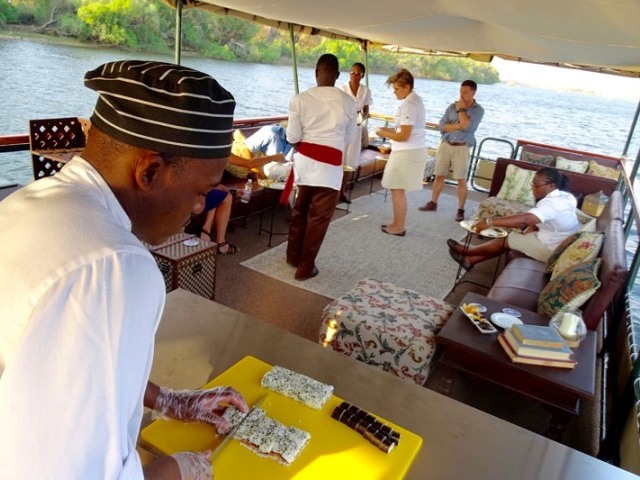 Sushi on the Zambezi! Read more about it here. A brand new venture which had a soft opening last night, is The River Brewing Co., a craft brewery located right by the Elephant's Walk Shopping Mall in Victoria Falls town. The craft beer has been described as "delicious", and we are excited to welcome this unique addition to Victoria Falls restaurants and bars (because we can never have too many places to enjoy a good drink with friends). For the official opening, follow The River Brewing Co.
On the accommodation side, Zambezi Crescent have opened their brand new island lodge on Kandahar Island on the upper Zambezi River. 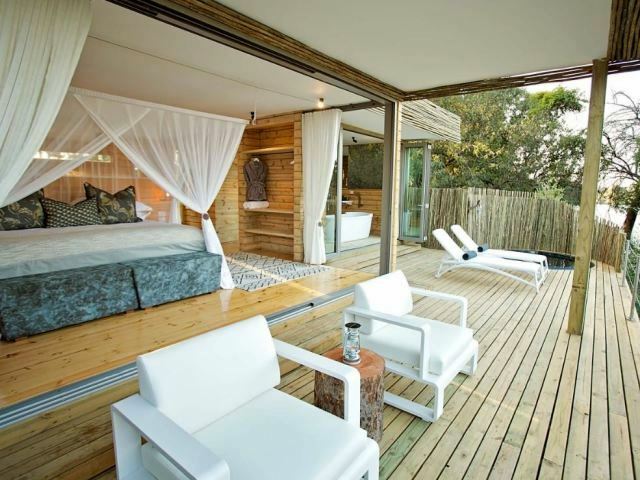 This fabulous luxury lodge offers beautiful views, exclusivity and very comfortable accommodation, in addition to fully inclusive facilities and services. 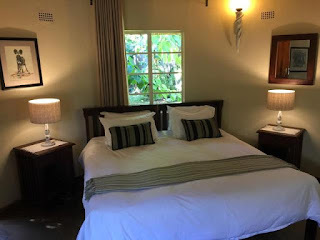 Here's more on the Victoria Falls Island Lodge. It seems as thought the KAZA Uni visa saga will take a new (good) turn this year. After the stickers ran out for about a month, a KAZA liason officer announced that both Zimbabwe and Zambia immigration departments will be incorporating the univisa within their existing systems, and also that the stickers will now be printed within both country's borders. This new development means that the uni visas should not run out again and they are here to stay. Can you get and do you need a KAZA Uni visa? Find out here. The Stanley & Livingstone Hotel has been placed under new management, beginning in November. This is also when the boutique hotel will be closing in order to carry out a major refurbishment, and will only open in August 2018. For bookings that were already in place when the announcement was made by the Aujun Group, clients will upgraded to The Elephant Camp. After a long period of transformation, Chundu Island will open it's doors on November 1st, 2017. The luxury island lodge located on a private island on the Zambezi River, 20 km upstream from the Victoria Falls, will offer brand new accommodation and facilities on a fully inclusive basis. In our last report, we mentioned a new self-catering lodge being built within the Victoria Falls town - Pamarah Lodge. Construction is still underway, and will only be completed in 2018. Very close by Pamarah will be another small lodge which should be completed by the end of the year. We will keep you posted. Old Drift Lodge, a new luxury riverside camp is still scheduled for a January 2018 opening. As if Zambezi River white-water rafting isn't already majorly exciting, Safari Par Excellence are hosting a new annual Zambezi White Water Festival...2 days of rafting competition, fun and festivities. You can find more information as well as what is happening in Victoria Falls on this page. Yet another spectacular Vic Falls Carnival will be happening from the 29th of December to 1st of January 2018. The famous annual event will this year feature South Africa's DJ Black Coffee and Mi Casa, Zimbabwe'a own vocal sensation Ammara Brown, along with Victoria Falls' favourites Flying Bantu and DJ Francis, plus many more local and international acts. Our Jameson Vic Falls Carnival page will have the details. 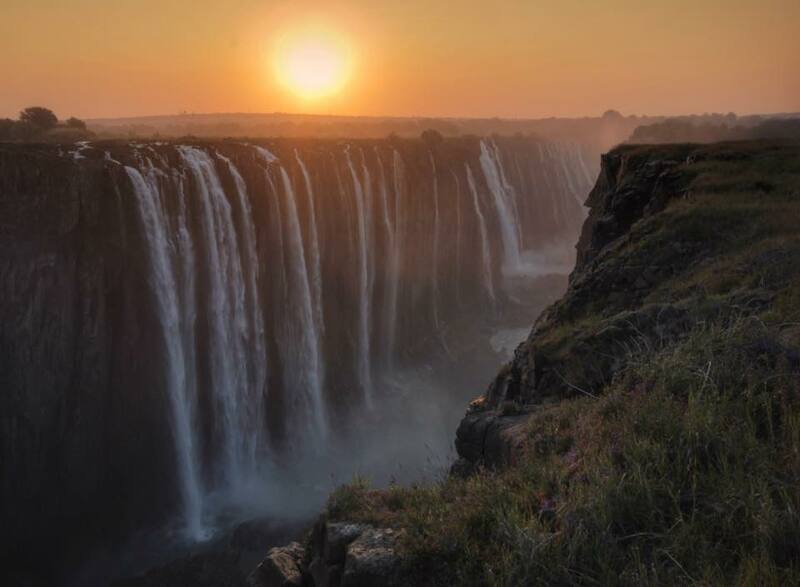 In travel news, Ethiopian Airlines has announced plans to increase flights between Victoria Falls and Addis Ababa from three times a week to daily. Arrivals have increased this year, and the expansion of the Victoria Falls Airport means that wider bodied aircraft can now land in the resort town. Read the original article. Currently under construction and expected to be complete in 2019 is the bridge at Kazungula between Botswana and Zambia. When complete, together with new border facilities, this rail and road bridge will relieve pressure and traffic on the Kazungula Ferry, and will likely see more long-distance trucks using this route instead of the Victoria Falls route. 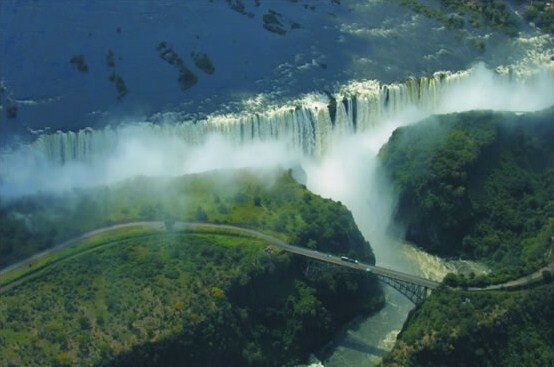 Speaking of border crossings, there are plans to make the Victoria Falls Bridge border a One Stop border. This means that instead of going through two border posts, all the immigration and customs for Zambia and Zimbabwe would be done in a single building. This type of border crossing has already seen success at the Chirundu Border crossing about 65 km down stream from Lake Kariba. That's it for now. We wish you pleasant journeys and unforgettable memories.